After months of training, practicing and playing together, NWRFC decisively demonstrates who is the Champion of the D2 Women’s True South Geographical Union! Your hard work paid off, Stone Lions. Two sound, unquestionable victories were put on the board this weekend against tough and respectable opponents. What a way to end the fall season! The first match was one of our traditional rivalry matches and would determine who qualified for the Final on Sunday. Now, for those Huggers who have dutifully followed this team, it is not news how much this win means. As you might recall, NWRFC had one of its longest losing streaks against these Flamingos, bordering on a mental block. No longer!  Nashville came out top speed from the start, scoring its first try within the first five minutes off a pod play after an inexorable march down the field. Possession was overwhelmingly in the Middle Tennesseans favor, with Nashville on offense a good 75% of the time. The Stone Lions dictated the pace and dominated the game! Most memorable play for this, your heroic exploits narrator, was Winger Kat Butler’s spectacular interception and the impressive foot-race that ensued. We have seen this play before, as Kat’s quick hands and quicker feet turn an opponent’s smallest of errors into 5 points for green! Alas, Kat was horse collared about one meter from the try line and a penalty try not awarded. However, two phases later it was turned into a score. Kat was also our kicker for most of the tournament, threading in some remarkable kicks from difficult angles. The Final vs. the very tough Louisiana Lagniappe was anticipated to be a highly contested match, and it did not disappoint! Nashville faced the slight disadvantage that the Cajun team had not had to play a match Saturday and came in on fresh legs. That fact did not create the feared disparity, as Nashville’s forwards and backs alike never faltered or slowed. The first 10-15 minutes of the match evidenced the maturity and discipline of your Stone Lions, as a seemingly endless stream of penalties was incurred by Louisiana, yet your team kept its cool and sportsmanship intact. The first score was slow in coming; a pack play wrestled in by Prop Mae Buchanan. Although the majority of the points were generated by the back line (including an impressive Hat Trick by Scrum Half Pat Neder! ), our pack was instrumental in facilitating the win. Very telling was to hear from the sidelines our Huntsville RFC hosts commenting, “You guys have a brutal one-two punch! !” as Eight-man Susannah Crawford plowed through the gain line one more time. Thank you so much for having us Huntsville! We hope to repeat this next year! It is hard to pick a single play to highlight in this short write-up. A great candidate for the best play of the match would be Winger Hailee Sells’ try to the corner in the second half, which came at the end of an incredible run by our new Fly-Half, Molly Walters. It was an important turning point in the match: our adversaries were attempting a comeback after the half; rallying cries could be heard among them of “one more try, and we’re tied!”, after their second score. An answering score was needed to turn the momentum, and Molly and Hailee’s experience had them in perfect position, speed and support to do so. Bittersweet, for us at Perspectives, knowing this was Sells’ final match with the Stone Lions, as she pursues more in-depth involvement as a referee. It has been a privilege, and you will be missed, Thunder Chicken. Impossible not to mention the invaluable contribution of the Tournament MVP, possibly the toughest, fastest, smartest Flanker in the South, Mary White. Mary was everywhere in both matches, it seemed, from leading pack punches to joining in at the end of the line creating overloads, to rucking hard enough to single-handedly defeat players 100 lbs bigger! Her experience at the wing was in evidence, as she tirelessly darted and cut her way past slower forwards for huge gains, important assists and one very impressive try in the Final. Innumerable other exciting and courageous deeds abounded this weekend and try as we might, we cannot narrate them all. Not for lack of significance or style in them, but for lack of space do we skip heroic acts that sincerely deserve mention… The Stone Lions is a team made up of athletes and warriors in heart, body and soul. I can only dream to do justice to your feats in these brief columns. If you missed it, there are two things I must say to you, oh stalwart supporter: First, a good-natured rebuke, for it is not that far of a drive, and you missed possibly the most epic battles and exciting victories in this Club’s history. (And you all know I never exaggerate!). And second, do not despair, for a fantastic photo documentary was generated by Huntsville photographer Ryan Roof, so prolific it looks almost like a flipbook of the matches – take a look! Stone Lions vs. Louisiana (2nd Half). 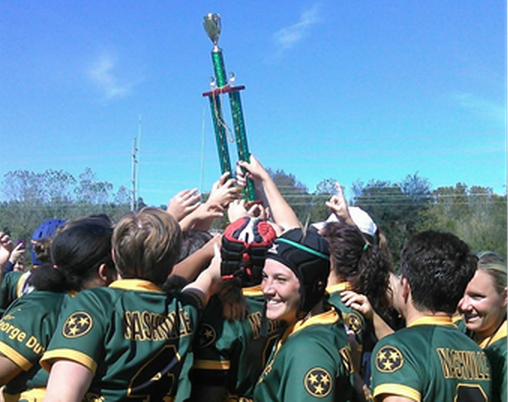 No Replies to "Match Report: NWRFC Wins True South Championships"